I have long been interested in the music of Rory Dall O’Kane, the early 17th century harper-composer from Norther Ireland who lived and worked in Scotland, composing tunes for the Perthshire and Central Scottish gentry and nobility in the 1620s and 1630s. I included a number of his tunes on my CD including Port Atholl, Port Gordon, Da Mihi Manum and Lude’s Supper. However I have long felt that I should also be interested in the music of Rory Dall Morison, the late 17th century harper and poet to Iain Breac MacLeod at Dunvegan Castle on Skye in the 1680s. 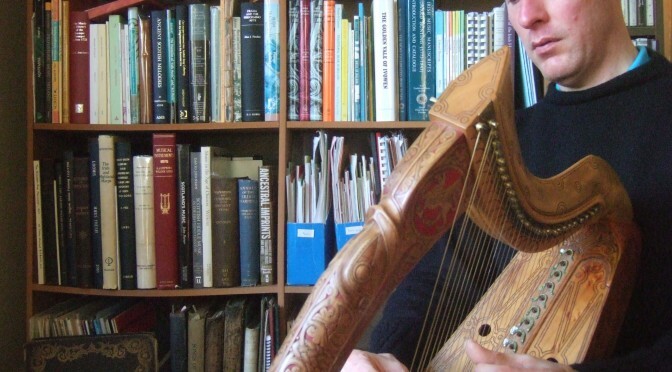 Unfortunately, the harp tunes often ascribed to him (such as Rory Dall’s Sister’s Lament, or the Fiddler’s Contempt) appear in manuscripts written before his birth (in 1656), and so it seems that the ‘Rory Dall’ tunes all belong to O’Kane. What Morison did do without a doubt was compose songs, and perform them with harp accompaniment. 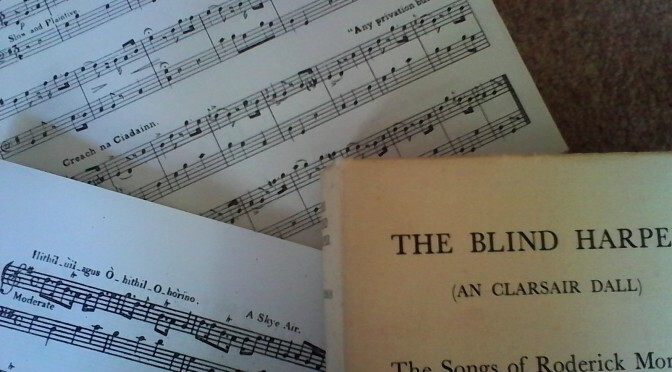 William Matheson’s book The Blind Harper is a great edition and translation of these songs.